Part II focuses on the rediscovery of Bovier’s Red Colobus Monkey in the two National Parks in the Republic of Congo (not to be confused with the Democratic Republic of the Congo). Bouvier’s Red Colobus Monkey (Piliocolobus bouvier) had been given up for lost. The last siting occurred during the 1970s but rampant bushmeat hunting was believed to had driven this species to extinction. Luckily two primatologists kept looking. Lieven Devreese and Gaël Elie Gnondo Gobolo were conducting independent research in Ntokou-Pikounda National Park this February. Working near the Bokiba River they surprised upon not one but a whole group of the presumed-extinct primate. They were also able to capture the first photograph ever of the monkey which features a juvenile clinging to a female. Despite limited museum specimens, the scientists were able to confirm this was Bouvier’s Red Colobus monkey. 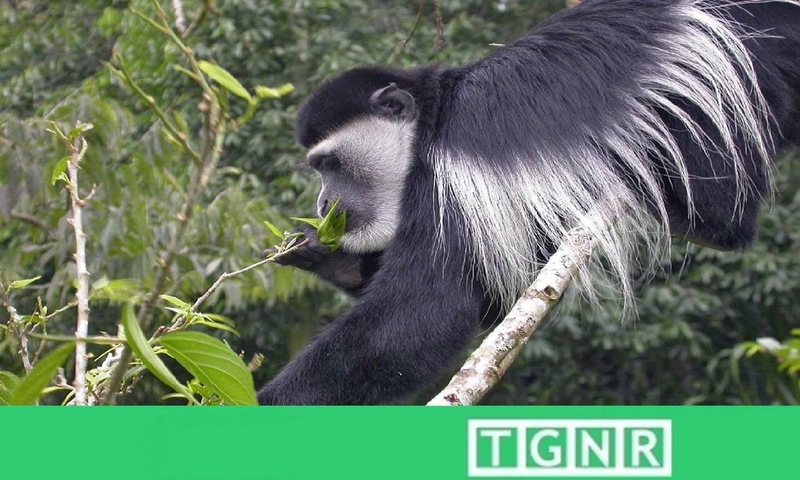 Prior to their presumed demise, the swamp forests along the Congo River and in Ntokou-Pikounda National Park (founded with assistance from Wildlife Conservation Society) were the known natural range of Piliocolobus bouvier and other species of the same genus. Ream more about the original discovery and rediscovery of Bouvier’s red colobus at Sci-News.